Every year around this time I like to have a Christmas drinks thing. Last year it was a festive afternoon tea and I had envisaged that this year I would have a grown-ups 'martinis and mistletoe' cocktail party. However I'm totally skint and don't really have an available child-free weekend night anyway due to my works Christmas lunch this weekend and a dinner with the girls in the diary too! That said, I thought I'd share with you my ideas because it might inspire you to have a wee festive get-together with friends. In a blender (I was thinking that this would be good to make in the Breville Blend Active I have been sent to review!) combine the milk and a few scoops of ice and blend until smooth. In a separate bowl mix the egg yolks, cinnamon, allspice and maple syrup. Combine all the ingredients in the blender and blend again. 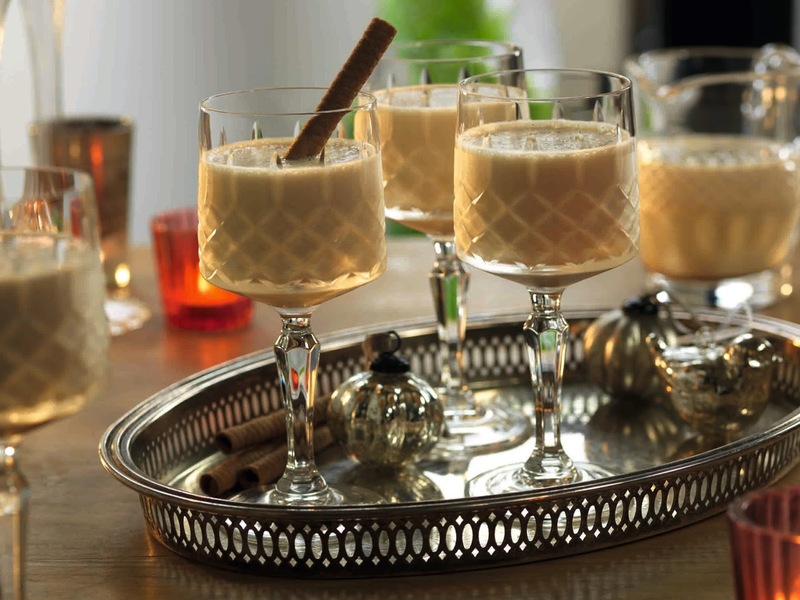 Pour into a glass and dust with grated nutmeg. Garnish with a chocolate swizzlestick and serve. For the best home-made mince pies, it's always worth making the mincemeat filling a month or so in advance so that it develops a good depth of flavour. Making it couldn't be easier: simply mix together all of your ingredients in a bowl. Store your mixture in a sealed, sterilised jar and it will keep for up to 12 months. Now for the pastry. After preheating your oven to 200C/gas 6/fan 180C, start by rubbing together the butter and flour, mixing in the golden caster sugar and a pinch of salt. Roll this mixture into a ball and knead it briefly, before leaving to stand for 20 minutes. Line a patty tin with walnut-sized balls of pastry and spoon in your mincemeat. Take slightly smaller balls of pastry and pat them out between your hands to make round lids, big enough to cover the pies. Top the pies with their lids, pressing the edges gently together to seal. Beat 1 small egg and brush the tops of the pies. Bake for 20 minutes until golden. Leave to cool in the tin for five minutes, then dust with icing sugar to serve. This recipe is courtesy of Jamie Oliver's Fifteen, the charity partner of the White Stuff. 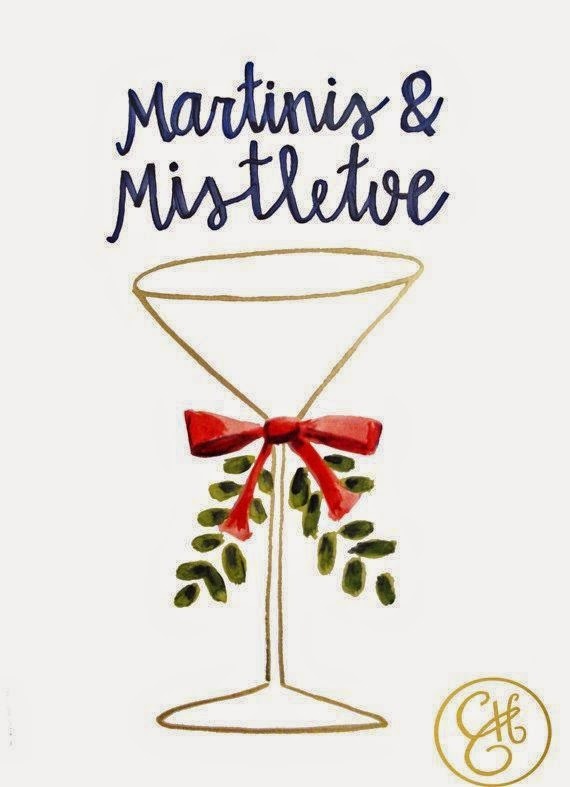 And after all that, if you can't be bothered organising the drinks and nibbles yourself, then I can highly recommend Social & Cocktail who will make your Christmas party sparkle! You can have a Bellini reception, 5 cocktails plus canapes for £32.50 per person (minimum booking of 10 people). Sounds good to me!